Drones are some of the best devices to play with nowadays. They can be used for numerous purposes like photography and surveillance. More and more manufacturers come with new models which include HD camera and Wi-Fi connectivity. These devices are fun, complex, yet easy to use. 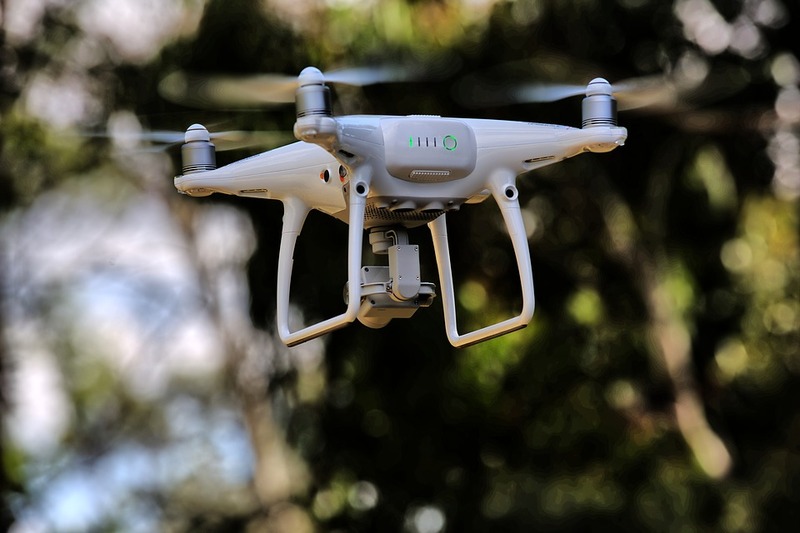 In this article, we are going to present some fun facts about drones. If you want to learn more about drones or see an in-depth review of one, check out Droneista.com. On this website, you can discover the world of drones and select the perfect device for you. These devices first came to the market in the 1990s and were developed by the military. Drones were invented because they are needed in small spaces where a normal helicopter can’t go or in war zones where it is too dangerous to send pilots. A drone is a machine that can fly without a pilot controlling it. In contrast, model airplanes fly with the help of pilots but because the model airplanes can’t move out of a pilot’s periphery of vision, they are also considered drones. When it comes to constitutional rights, using drone footage is not a violation. The police have the right to use footage from a crime scene if it was done by a drone. The only time they can’t use it is when it is a restricted area. Some people believe that the police needs the warrant to fly a drone below a certain height. The U.S. Supreme Court ruled that it is not a violation of rights to fly drones at a certain altitude. Remember that this only applies to police and military. There are certain areas which are restricted to an individual. Another misconception about drones is that they can only fly for a short period of time. This is not true for some models. While there are lightweight drones that can only stay in the air for a few minutes, most military or high-end drones can hover for an hour or two. While there are a lot of drones designed especially for beginners, you still need skills to make air stunts. You need a lot of practice before flying a high-end quadcopter. Also, the ready-to-use drones are better for beginners, but the DIY ones can help you understand more about the way drones are made. At first, it was believed that drones can only be used by the police or by the military for surveillance or attack. On the contrary, nowadays most drones are used for fun, as a hobby, or for photography and recording. Air stunts and action videos are some of the multiple purposes a drone has. Some people believe that drones can be an expensive hobby. While there are a lot of expensive drones which offer a multitude of features, manufacturers also provide small, lightweight drones which are less than $100. Of course, with a higher price, you get more features. Despite this fact, a budget-friendly drone is best for beginners because they tend to drop it more often. These devices are also used to enable communication in an area less accessible. Also, drones can be used to deliver food and medicines in war zones where it is too dangerous to send helicopters. They are also smaller and can access more areas in less time. A farmer can also use drones in order to survey the crops. This way they can use the footage to see which of the crops is affected. It is easier to use the drone for surveillance because they can cover more area than regular video cameras. New regulations oblige people to register drones which weight more than 55 pounds. People who purchased these drones need to register them to FAA. They will pay an extra fee for the registration. You might want to think twice before you purchase a bigger drone. Nowadays, drones are even used to record important events such as sports games, concerts, and festivals. They are easier to use than other recording methods and they can be moved easily from an area to another. These are just a few fun facts which show that drones can be fascinating. If you decide to buy a drone, remember to check websites for in-depth reviews and flight tutorial. Mark Chesterman is a drone aficionado and a technology enthusiast. He spends his time trying out different gadgets and being up-to-date to everything that's happening around him. He loves photographing nature and taking aerial shots, but also writing the story behind them. When he's not using his camera, he puts his writing skills to good use by putting together comprehensive drone reviews.